Instead of us just telling you how good we are, we asked Dan Williams (Tailor & Baker) to tell us what he thinks of our cloud-based Sage One Accounts. 1. Hi Daniel, could you please give me a brief summary of who you are, what you do and the name of your business? We are Tailor & Baker. I’m Managing Director and in-house geek. My co-founder is Alistair Marshall. He’s much cooler than I am, as well as being the creative guy – he also surfs. 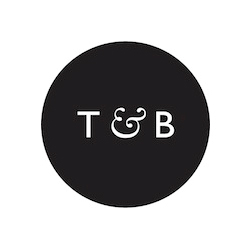 Founded just under two years ago, Tailor & Baker is a multi-disciplined design agency. We are based in East Yorkshire and also down in Newquay, Cornwall. This allows Ali to surf some good waves, but also helps our close relationship with businesses in the surf world. As an agency, we are very creative and love to really understand the business we are working with – having a holistic view helps us engage with the client and ensures they get a high quality, relevant product. We are now working with small local businesses, right up to multi billion pound multinationals. So keeping track of accounts, as well as every other aspect of the business is vital to its success. We are a Limited Company and ‘Tailor & Baker’ is the trading name of Optisite Ltd. Currently there are two of us in the company and we have great connections with our associate partners who work very closely with us on client projects when required. Being a young business, Sage One Accounts is our first accounting package. We’ve been using Sage One for around 6 months and we love it. Previously we we’re using an app on our Mac called ‘Billings’. Good tool but just not scalable. Sage was actually recommended to us by our accountants (GrayBrowne in Hull) – they understand the business model and know how much of my time is spent on the road, so moving to a hosted system has been one of my best moves since I set up. It means that not only can I raise purchase orders and invoices on the road (even when working from abroad) but also that I know exactly where we are at financially at any point in the month. Controlling cash flow in a young business is vital to it’s success. 4. What do you love best about Sage One? Certainly the security of a hosted system, behind not only my Mac password but a second password logging onto the site, as well as the usability and allowing me to access from all over the world. Cash flow is key. Manage your cash flow well. Make sure you have a brand, something that sets you apart from your competition. Market smart, don’t just pour money into advertising, research your target market and specifically tailor your campaign so it has maximum impact and analyse EVERYTHING. This will allow you to have maximum return on your time and investment. Finally, work hard, but work smart!